Since opening in 2002, the Black Door has built a quiet reputation as a stylish but low-key hangout for a crowd that doesn’t need a velvet rope. 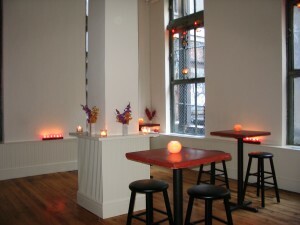 Our back room features a separate bar and private bathrooms. 127 W. 26th St. nr. Sixth Ave.